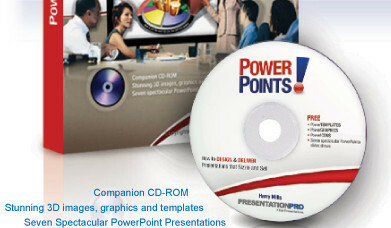 Add drama to your presentations using dozens of professionally designed sample presentations and PowerPoint templates on the companion CD-ROM. Create snazzier line graphs, pie charts, and bar graphs, and choose the right typeface and fonts to enhance your bullet points. Use provocative questions, anecdotes and surprising statistics to arouse interest. Influence the six types of audience - even the uninformed and argumentative. Gain confidence by using calming techniques that will help you overcome stage fright. 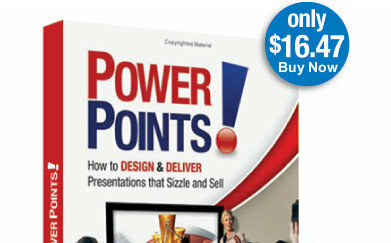 Avoid the top four mistakes that can kill any presentation. Tap into the power of stories to bring life to your ideas and arguments. Harry Mills is the author of 25 books on persuasion, sales and negotiation, including Artful Persuasion and The Rainmakers' Toolkit, and is the mentor on persuasion for the Harvard Manage/Mentor program. He has helped the world's brand icons such as Lexus, Toyota, PwC, Ericsson, and GE Money shape and patch mission-critical presentations.